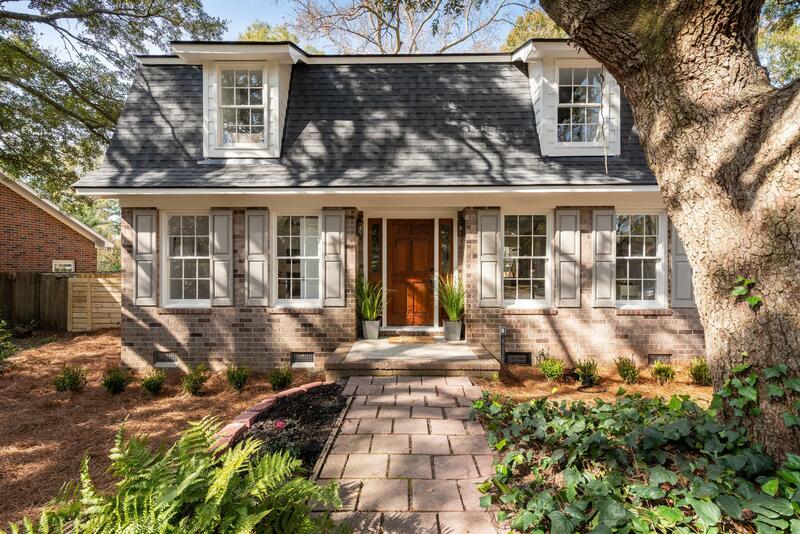 No detail was overlooked in the renovation of this beautiful West Ashley home! From the moment you enter the home and notice the shiplap accent walls, board, board and batten in the dining room and the spectacular lighting selections you know this home is one of a kind. Downstairs you will find a dining room, office and an exquisite kitchen with soft close drawers, matte black hardware, stainless steel appliances, Carrera marble countertops, and peninsula perfect for 3 stools. Space opens into a family room with built-ins, shiplap, painted brick fireplace with barn wood beam mantle and windows and glass door that opens to the private fenced yard/patio. Off the kitchen, there is a laundry room and beautiful half bath. Up the front staircase are 3 bedrooms including the master complete with 2 closests, gorgeous seamless glass shower/bathroom and small build in bench seat in the dormer. Above the garage is a large 4th bedroom with full bath and extensive storage space.